We want our products to be the best possible quality, If you aren’t satisfied with your product we want to know about it! All sales are final and our general product warranty lasts 30 days from purchase. If longer than 30 days have gone by since your purchase date, unfortunately we cant offer you a refund or exchange of any kind. There are no exceptions to this rule. To be eligible for a new item return, your item must be in the same condition that you received it. It must also be returned with all of its original accessories. To complete your return, we require a receipt or verifiable proof of purchase, if we can’t verify you bought it from us – we can’t process a return. 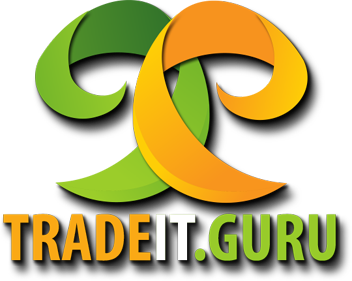 please contact us at sales@tradeit.guru. If you haven’t received on an approved item then we want to know so we can help make it right! Only regular priced items may be refunded, unfortunately most on-sale items cannot be refunded and are considered FINAL sales. We only replace items if they are defective or damaged. If you need to exchange it for the same item, send us an email at sales@tradeit.guru and send (or bring) your item to: 317 37ave NE, Calgary, AB, T2E6P6, Canada. To return your product, you should mail your product to: 317 37ave NE, Calgary, AB, T2E6P6, Canada. If you are shipping an item over $75, you should consider using a track-able shipping service or purchase shipping insurance. We dont guarantee that we will receive your returned item, in which case NO REFUND will be issued. We always do our best to ensure our customers are satisfied, if you aren’t happy please let us know how we can make it right!